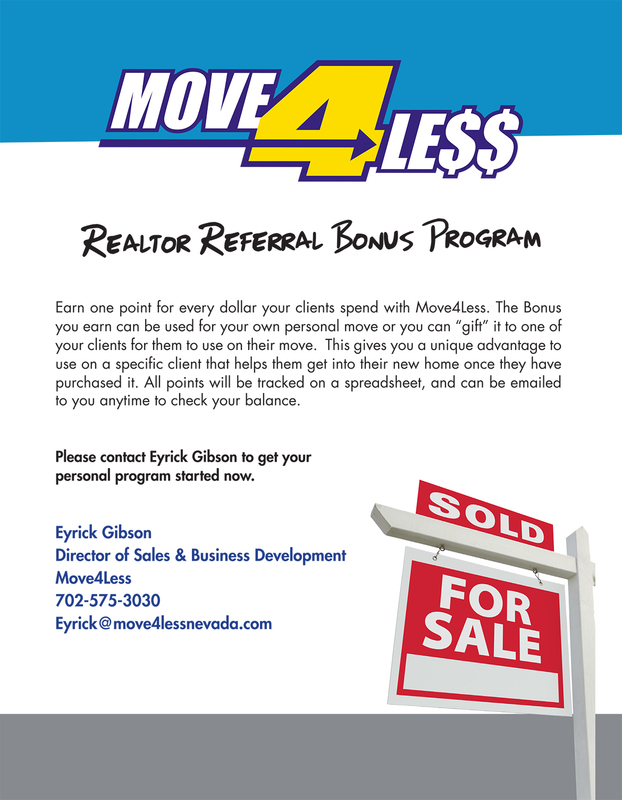 Over the years, Move 4 Less has developed a great network of Realtors who consistently refer our company to their clients. They know that, with world class service and competitive prices, Move 4 Less is the largest local moving company in Southern Nevada performing over 6000 moves annually. Now, we have a way to give back to our loyal Realtors. Our Realtor Referral Program is our way to say thank you for trusting your clients to us! We help get your clients into their new home with less hassle and stress. So, sign up today, then submit your referrals and RELAX… and let Move 4 Less do the work!